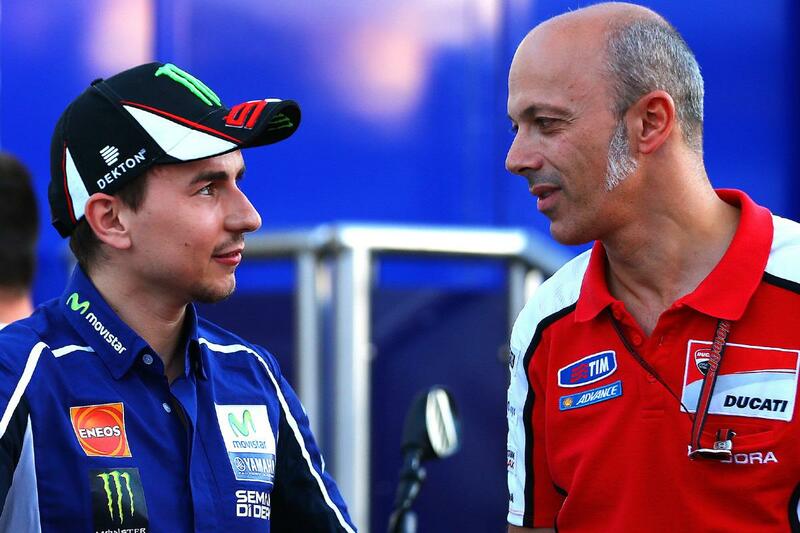 Jorge Lorenzo has denied he ever gave serious consideration to completing a shock move to Ducati or Suzuki in 2015. The Spaniard signed a new two-year deal with Yamaha on the eve of the recent Indianapolis MotoGP round after he had been constantly linked to a high risk switch to Ducati since pre-season testing. Lorenzo’s manager Albert Valera also negotiated with Suzuki, but both factories couldn’t convince the 27-year-old to take the biggest gamble of his career by quitting Yamaha. Lorenzo has always said when negotiating new deals that his main priority has been to secure the most competitive machine possible, so it would seemed a bizarre move to jump off a factory YZR-M1 for a Ducati or Suzuki. Lorenzo told MCN: “Suzuki has been out of the competition for a while and for them it is not going to be easy to be come back and be at the top fighting with Honda and Yamaha. And Ducati signed a new engineer one year ago and I know Gigi Dall’Igna from time with Aprilia in the 250 class and I am sure he will make good things happen in Ducati. "Ducati needs some more time to arrive at the top and probably they don’t want to have a top rider before they have a good bike. But the important thing is I have always been very close to Yamaha and we achieved good things together and I think the best is yet to come. Ducati will field Andrea Dovizioso and Andrea Iannone in 2015, while Suzuki will go for an all-Spanish line-up with Aleix Espargaro and current Moto3 world champion Maverick Vinales.